Detailing the physical features, habits, territorial reach and other identifying qualities of the Red-Lined Panopoda. Thin lines crossing the wings of the Red-lined Panopoda Moth may be the only stable identifier in this somewhat varied species. The adult Red-lined Panopoda Moth is brown in color. 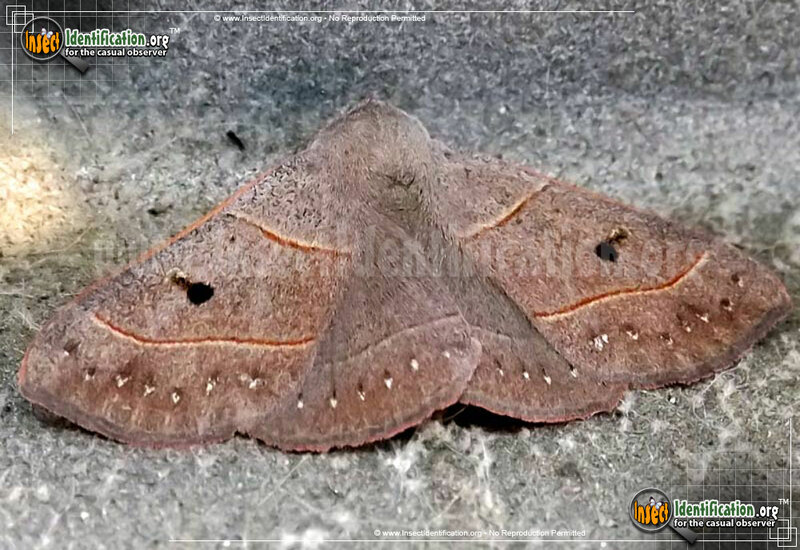 Some have dark patches in the center of their forewings, others are uniformly pale brown all over. Those not familiar with the variations may think they are looking at different, yet related moths. Each individual, fortunately, has two thin, almost parallel, red lines that cross the forewings - one on the upper part, one on the lower part. Many individuals even have an obscure darker brown streak between these red lines. A crescent shaped mark in either yellow or black is on the outer edge of each forewing between the red lines. A single dot sits above this crescent mark. A small black dot may be present on either side of the 'shoulder' area. Hindwings continue the lower red line, but not the upper one. Along the bottom of all four wings is a row of black or dark brown dots or smudges that may be highlighted with white bottoms. This Panopoda is one of four in the genus found in central and northern North America. Green fleshy caterpillars are long and slender with tiny black specks on the head. A thin yellow line runs the length of both sides of the the upper 'back'. Each segment has a tiny red dot in its center along with a thin yellow diagonal line that stretches from the 'feet' to toward the 'spine'. These larvae feed on beech and oak leaves. Look for active adults through the summer in forests, parks, or backyards that grow host trees.